Suspect arrested by IDF soldiers after crossing border fence found to be member of Hamas. A suspect arrested by IDF soldiers on Friday morning after he crossed the border fence in northern Gaza is a member of the Hamas terrorist organization, it was cleared for publication on Friday evening. The IDF Spokesperson’s Unit said the terrorist was arrested immediately after he crossed the border fence, was under surveillance of security forces, and immediately after crossing surrendered himself. 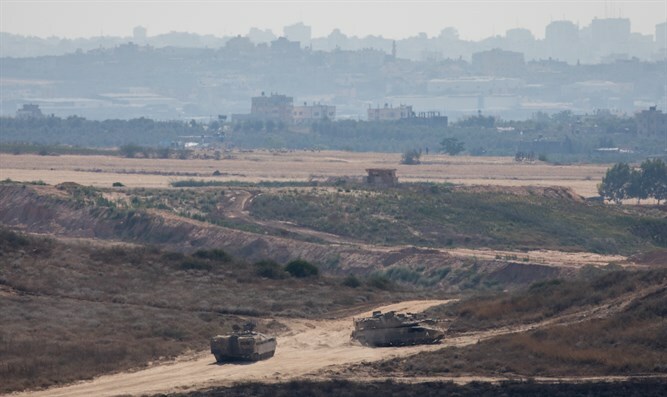 Last Saturday, IDF fighter jets targeted two Hamas underground structures in the Gaza Strip. The air strike was in retaliation for a rocket that was launched from Gaza towards Israeli territory. Last Friday, IDF aircraft targeted two Hamas military posts following violent riots on the Gaza border, in which 13,000 Gazan rioters threw grenades and explosives.